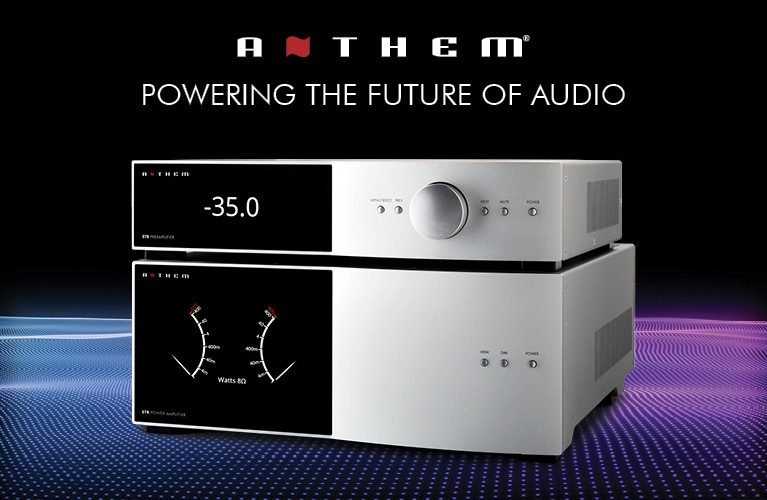 Measurements were made at a line voltage of 120V AC, both channels driven, and were taken on both channels using the Hegel H590’s AES, Analog 1, and BNC digital inputs. Unless otherwise noted, the data reported below are for the left channel. 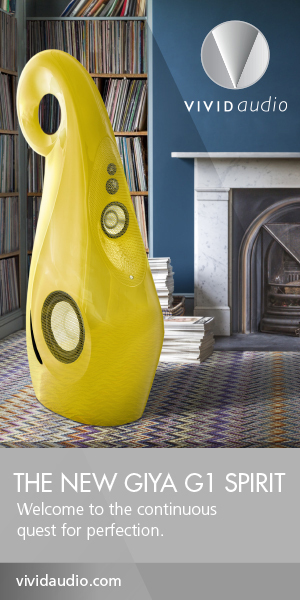 The H590 is Hegel Music Systems’ newest, most powerful integrated amplifier-DAC. 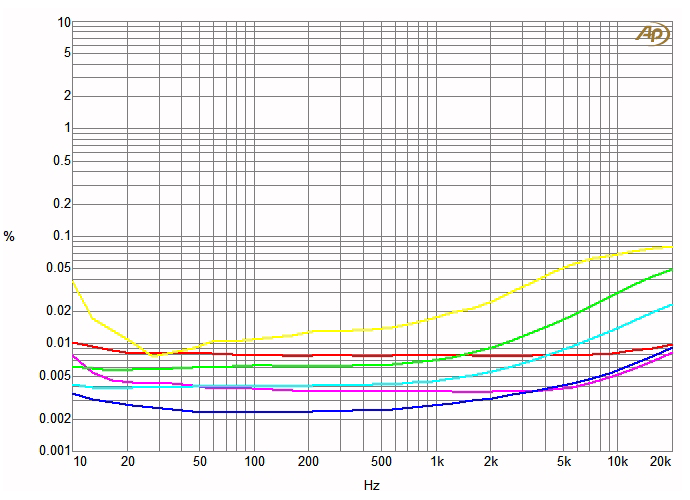 Chart 1 shows the H590’s frequency response with varying loads. 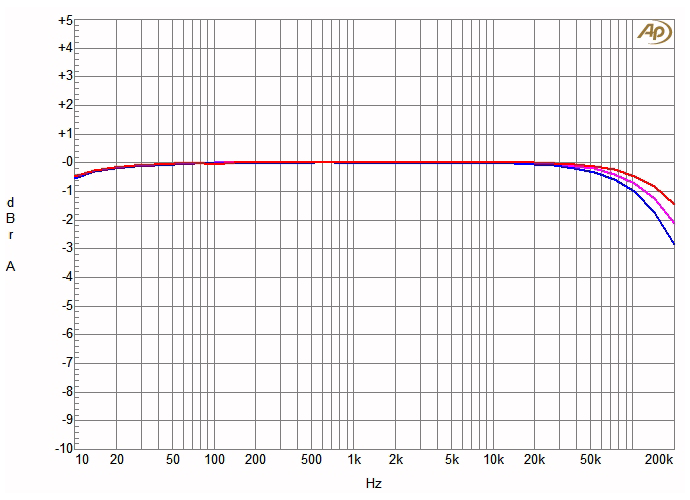 The output impedance is low enough that there was negligible variation with the NHT dummy speaker load. Chart 2 illustrates how the H590’s total harmonic distortion plus noise (THD+N) vs. power varied for 1kHz and SMPTE IM test signals and amplifier output for loads of 8 and 4 ohms. The level of distortion is quite low. 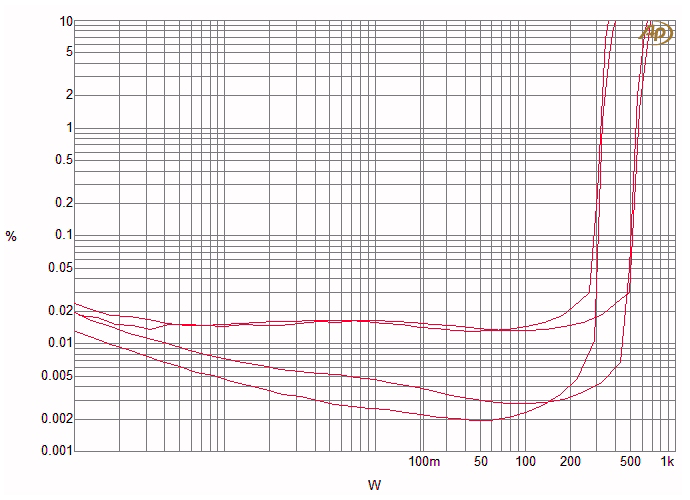 The Hegel’s THD+N as a function of frequency at a number of increasing power levels is plotted in Chart 3. 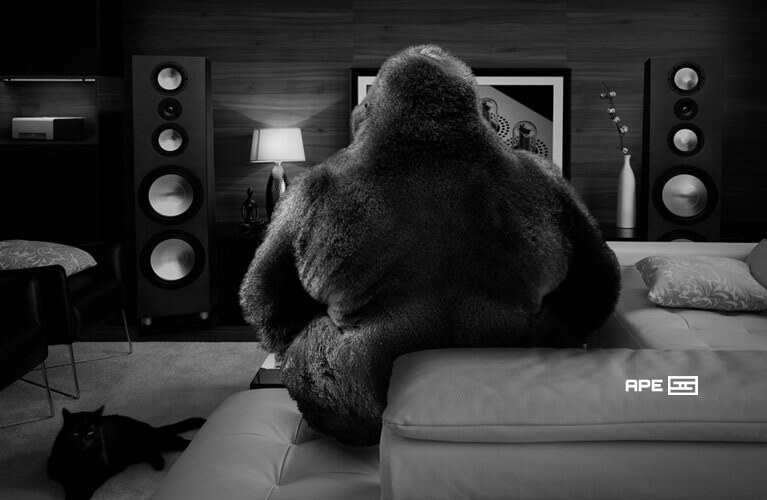 The increase in distortion with frequency is moderate. 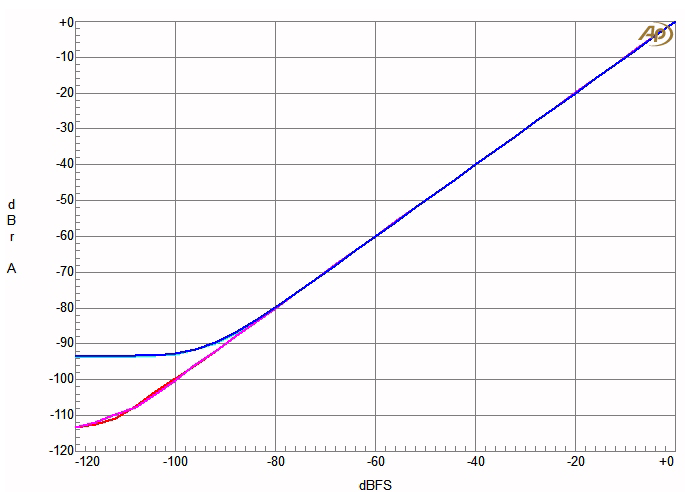 Chart 4 plots the H590’s damping factor vs. frequency. The shape of the low-frequency rolloff curve is unusual, and the high-frequency rolloff begins at a lower frequency than the norm. 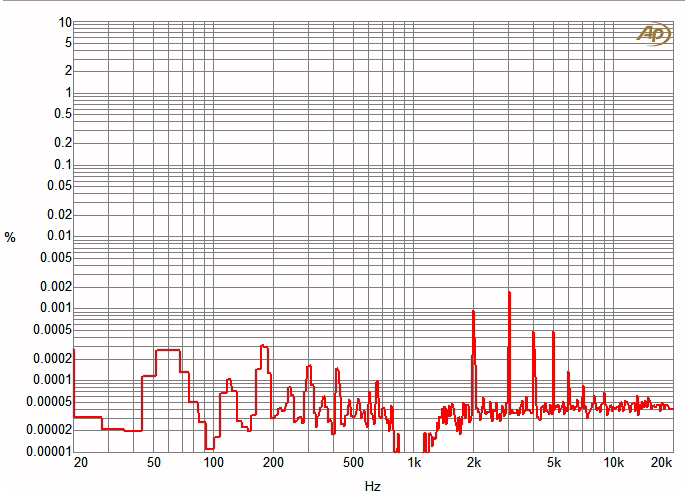 The Hegel’s spectrum of harmonic distortion and noise residue of a 10W, 1kHz test signal is shown in Chart 5. The AC line harmonics are quite low but relatively complex. The signal harmonics are dominated by the second and third harmonics, with the higher harmonics decreasing quickly. 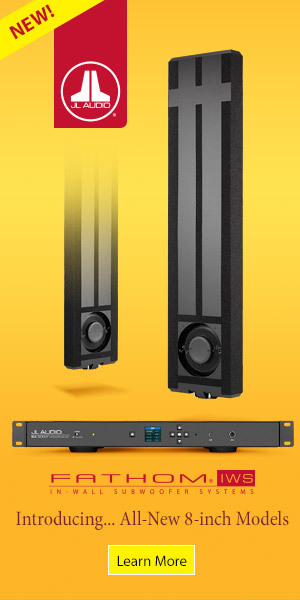 Some key measurements of the Hegel H590’s digital section were taken. Its BNC input was fed with a full-scale, 0dBFS digital signal level, and, using the volume control, the main amplifier outputs were set as close as possible to 5W/8 ohms. 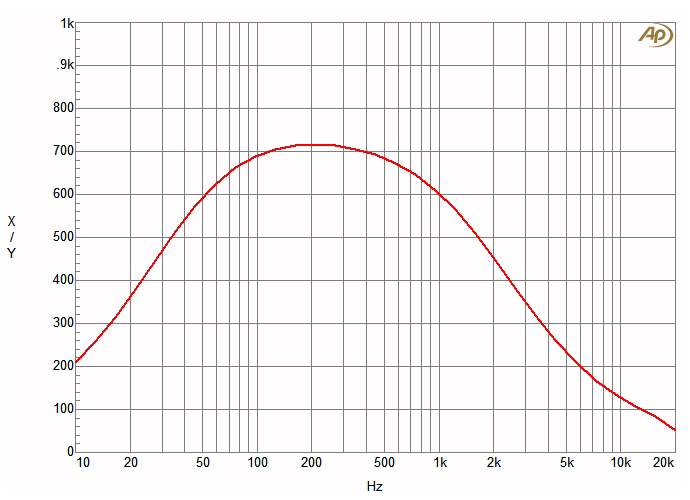 The frequency response is shown in Chart 6. 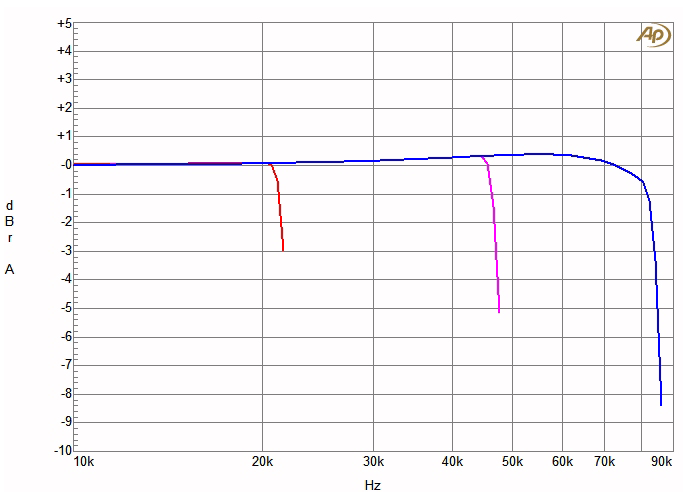 Chart 7 shows the results of a revealing measurement that I always do on a DAC: a test of its input/output linearity. This measures the amplitude of a decreasing 1kHz signal for both channels with a 1kHz bandpass filter, in order to track the signal down into the noise. The results for sample rates of 44.1, 96, and 192kHz were about the same; for clarity, I’ve shown here only the result for the 44.1kHz sample rate. I additionally changed the measurement bandwidth to 22kHz; the resulting curve shows the residual noise level in the audioband, which in this case is at about CD resolution.